Michael Malone, during his post-game press conference after Tuesday night’s win against Minnesota, came right out and said, “I made the decision to shorten the rotation, only play 8 guys in the first quarter, and I’m going to continue to do that for the time being.” That rotation included the regular starters in Murray, Harris, Barton, Millsap, Jokic, and the 3 most crucial bench pieces with Morris, Beasley, and Plumlee. 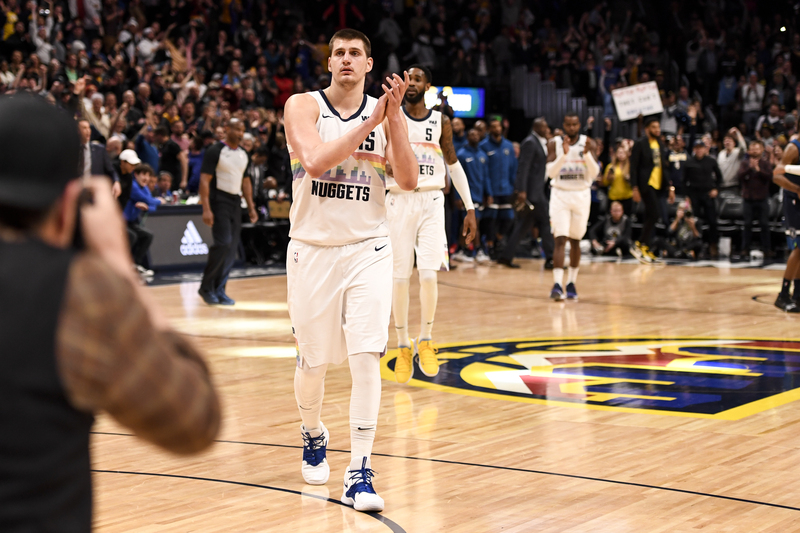 This entry was posted in NBA and tagged Basketball, Denver Nuggets, Isaiah Thomas, Jamal Murray, Mailk Beasley, Mason Plumlee, Monte Morris, NBA, Nikola Jokic on March 15, 2019 by gotzach18. It’s only been 7 games since Isaiah Thomas’ return and the honeymoon phase with fans and local media is already wearing off. I get it, he hasn’t played in 11 months and he’s going to have to find that groove again and work his way back and that’s all well and good, but not here and certainly not at this point in the season. This entry was posted in NBA and tagged Denver Nuggets, Isaiah Thomas, Monte Morris, NBA, Nikola Jokic, Western Conference on March 6, 2019 by gotzach18.